The black and white stripes on zebras' bodies help protect these animals from predators. The colors that not mixed with the background skin of the body are used to outwit predators. Scientists used a computer model to emphasize the lines until they can created an optical illusion when zebras moved. Line formation is apparently quite confusing that can protect it from predators. 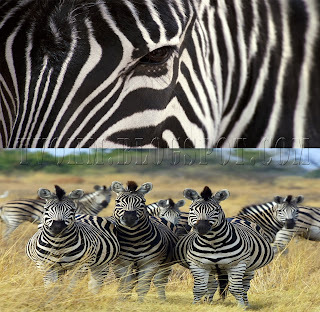 Dr. Martin How who is the studying leader said, "Stripe lines on Zebra body has long make's ​​evolutionary biologists confused"
The first theory of this line is like a signal of social communications, camouflage while grazing at dusk and dawn, and protect themselves from predators by creating a dazzling effect. The research was done by scientists from the University of Queensland, Australia, which and was published in the Journal of Zoology. 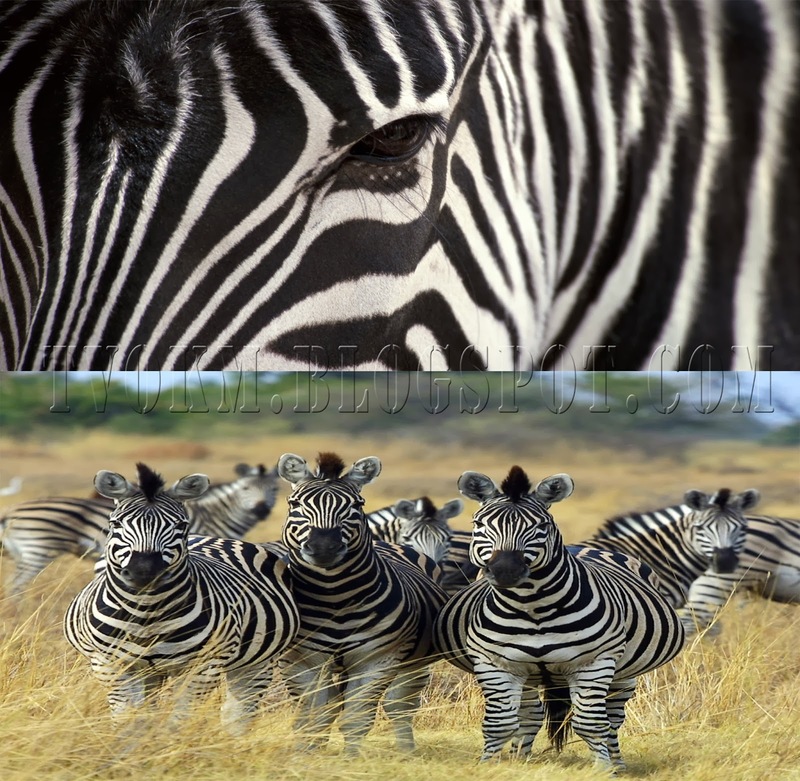 To test this new theory, Dr. How analyzes photographs and video footage of zebras. Computer models that track the collection of line pattern show the optical illusion lines that cause misleading information. Scientists say that this includes the phenomenon of "Motion Detection Mechanism (MDM)," is, the neural circuitry that processes the motion of an object based on how the contours of the object appears. One example of the most confusing illusion mechanism is a barber pole effect. Red and blue spiral stripes on the barber pole seem to move up when the pole is spinning.